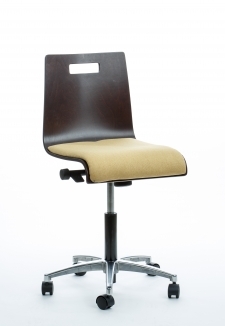 Contemporay Ergo Beech-wood or Maple veneer office chair with assorted upholstered padded seat. 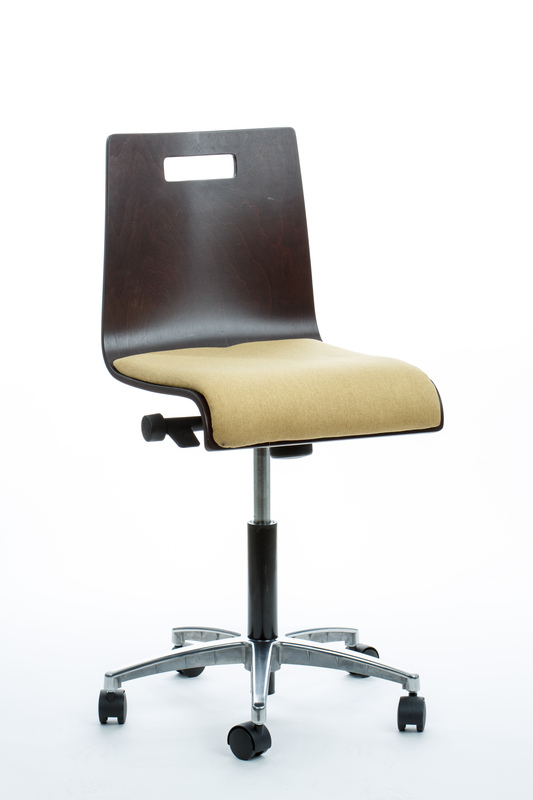 Pneumatic adjustable height with 5 star aluminum base. Available in white or natural finishes.